Red utility kilt with Net pocket which is specially designed for tough guys and girls with hard jobs. 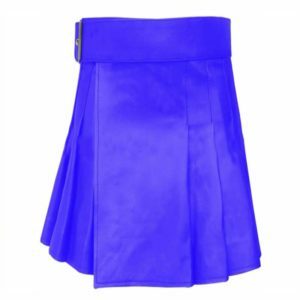 We always chose the best material to keep your comfort and easy in our mind. 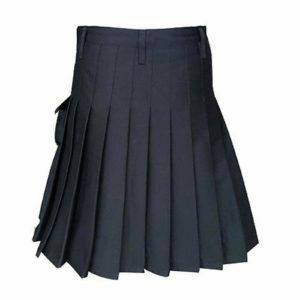 We have all possible customization options of material and cloth colors. 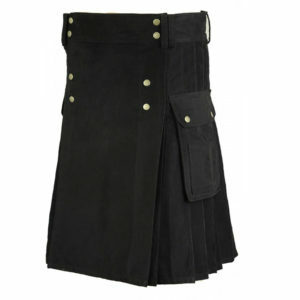 It is really comfortable material used to manufacture this kilt. 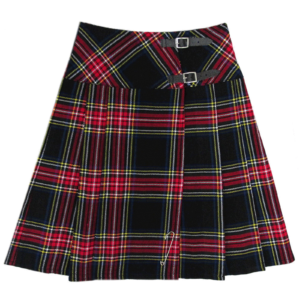 A net material has been used to decorate the kilt by using it on the front and pocket. 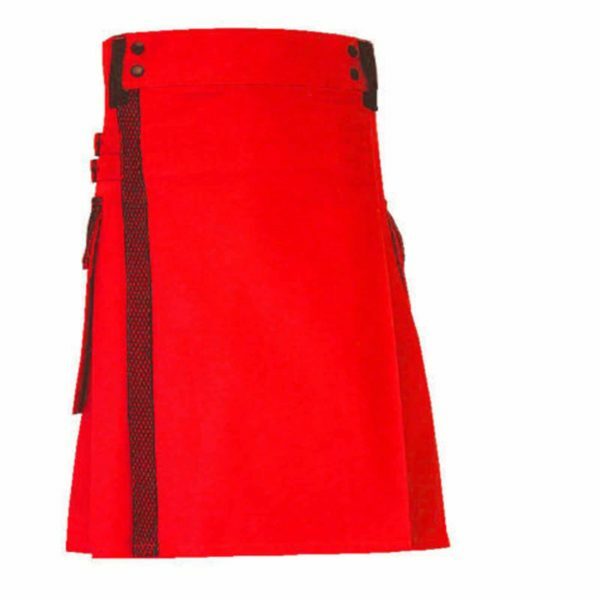 It is really amazing quality kilt in red colors. 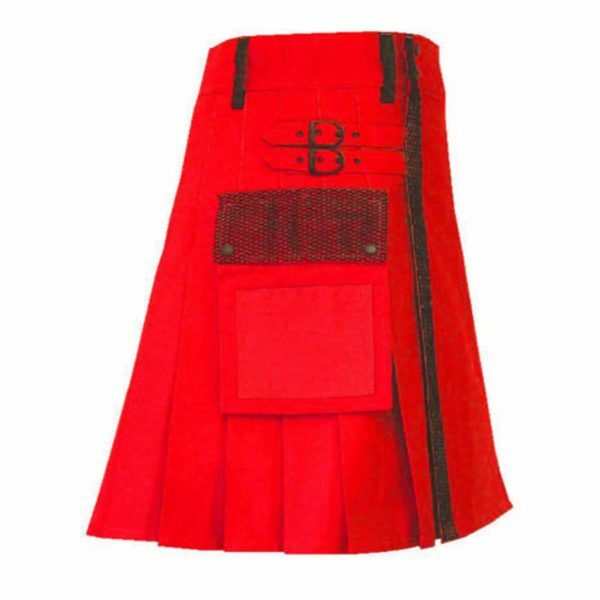 Lets talk about the design of this Red Utility Kilt with net Pockets. 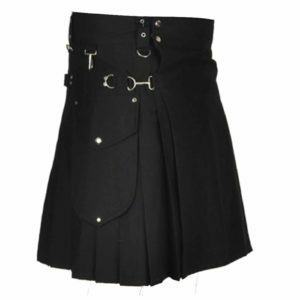 Now without taking your more time let me take you to the design of this kilt. 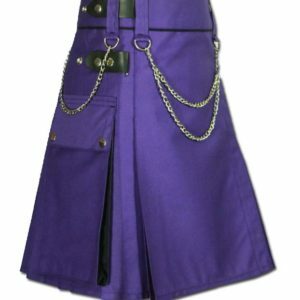 Now lets talk about the front look of this kilt. 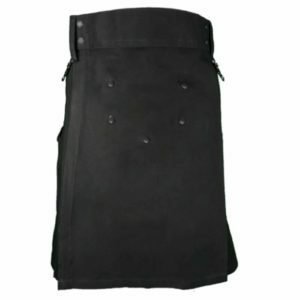 There is a flat apron on the front side which falls perfectly amazing. 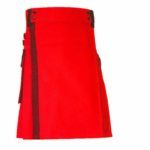 There is a flat net fabric line used on the side of the Kilt which looks perfectly amazing and goes with the name of this kilt. 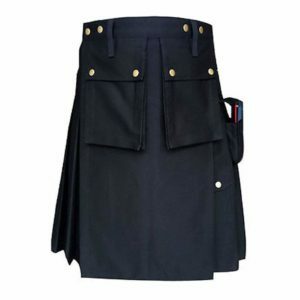 Moreover, there are 4 buttons used on front side of the kilt. 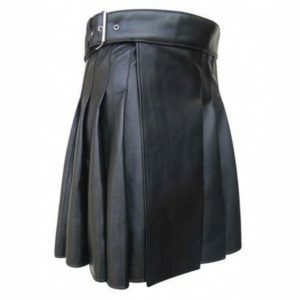 The net fabric is also used on the belt holders which complements the kilt and its name. 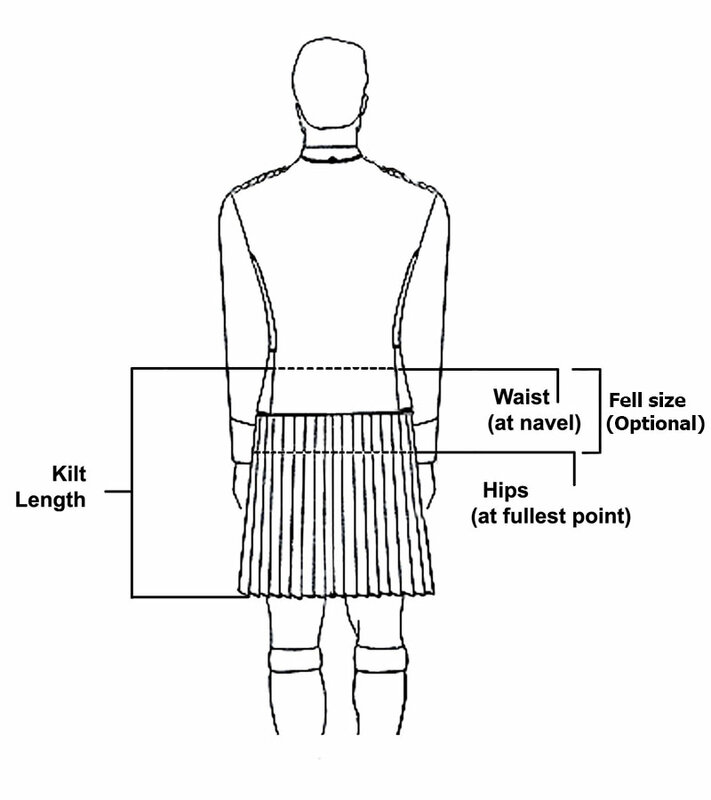 There are two flap pockets on either side of the kilt with deep sewn kilts. 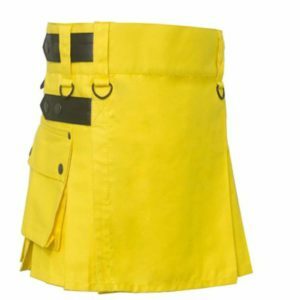 The flap of the pockets are made up of net fabrics. 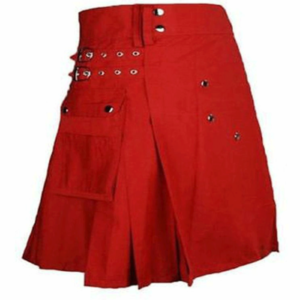 There is also a small pocket on the flap pockets made up of net fabrics which looks really amazing. 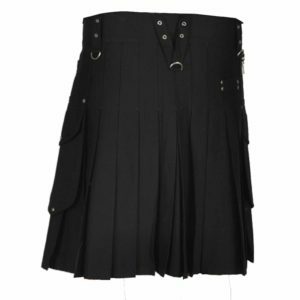 Moreover, on the other side of the kilt there are two cotton straps with buckles. 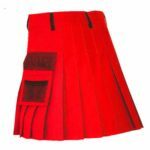 The pleats are deep sewn on the kilt which looks amazing. 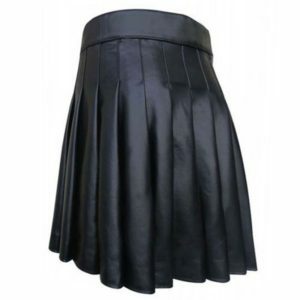 You may customize the pleats depth as per your choice. Normally, the depth of pleats are 2 inches which looks perfectly amazing on your kilt. 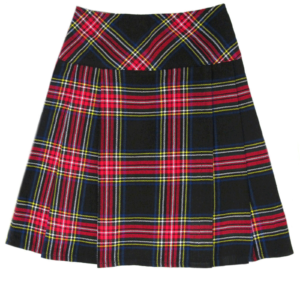 My husband bought this for my brother’s wedding, and let me just start by saying he was a hit! 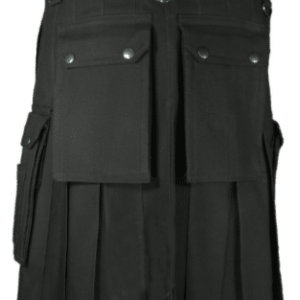 The quality of the kilt is good, and it has survived several washes in standard washer/dryer so far. 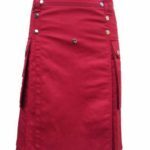 In other words, it doesn’t seem to need any particular special treatment like being washed on a delicate cycle or anything like that.